Price is now the key buying factor for telecom services. 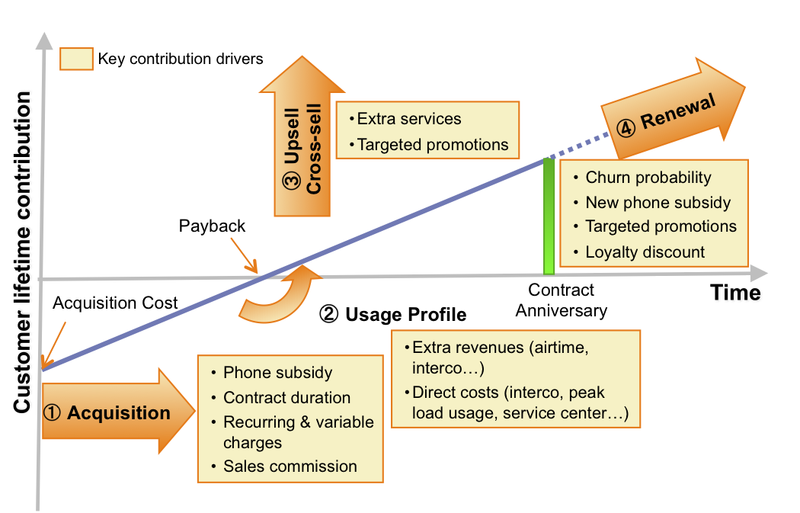 Optimizing every customer lifetime value thanks to accurate pricing is now a critical challenge for telecom operators in both consumers and business segments. The Open Pricer Suite™ permits to analyze, simulate and optimize lifetime value, micro-segment by micro-segment and deal by deal. The following figure presents the analysis of the monthly contribution for a given customer. As shown the challenge is to maximize contribution (i.e. 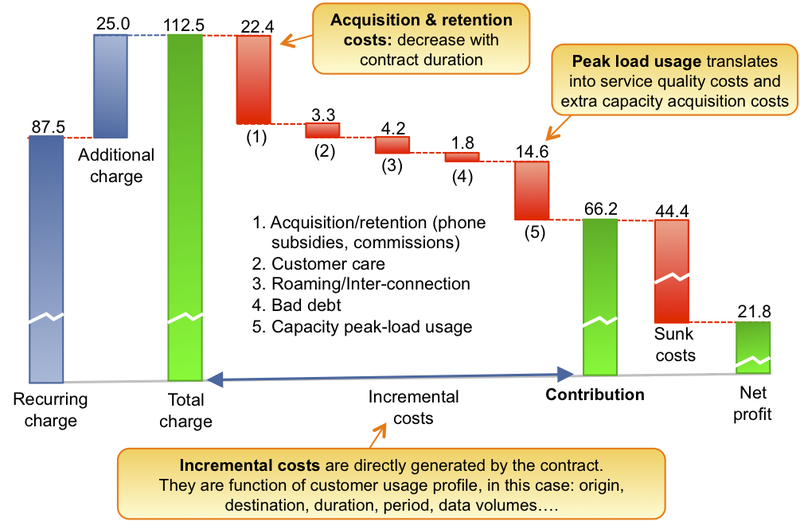 total charges minus incremental costs over the time of the contract), not average revenue per user.